Trying to find a family-friendly Easter activity that your kids will love? The holiday is almost here. 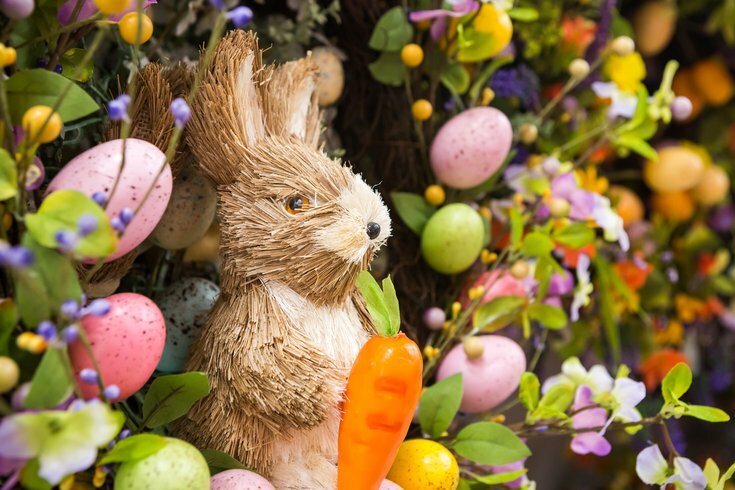 Two local zoos offering brunch with the Easter Bunny are currently taking reservations. Your little ones can pose for pictures with the Easter Bunny, then check out real animals in their enclosures. Elmwood Park Zoo in Norristown is inviting families to celebrate Easter with them. On Saturdays and Sundays from March 17 through April 1, the zoo will offer brunch. Tickets include admission to the zoo, an unlimited brunch buffet, a craft and a photo with the Easter Bunny. An adult ticket is $29.95. Children age 3-12 can attend for $24.95 and the cost for those 2 and under is $10.95. Zoo members receive a discount. The Philadelphia Zoo will host brunch on Easter Sunday and the day before. Families can grab food at the buffet, participate in an egg hunt, do arts & crafts and snap pictures with the Easter Bunny. The brunch will take place at the Peacock Pavilion, a private outdoor space. Tickets are $42.99 for adults and $35.99 for children age 2 and older. Zoo members receive a discount. After the Easter activities, families can continue their day out by exploring the zoo and meeting animals.